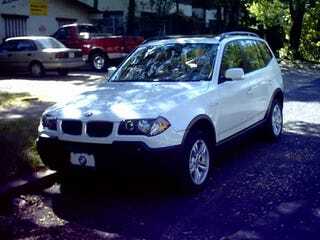 Before settling on my 3-series sedan, I took home a white X3 from the dealer for a short time. Well, took to my apartment in UT’s west campus. This was 2004ish, maybe? And I thought I had long ago lost every photo I had of it, but I was digging through some old files and found one!